A great variety of virtues are to be found in the life of a good man. There are four, however, which are of special significance---four virtues which are the foundation of all the rest. They are prudence, justice, temperance and fortitude. These virtues are like the four strings of a violin, With these four strings there can be produced all the notes on the scale. Likewise, from the four basic virtues there flow all the qualities of goodness which are found in the life of man. The first virtue, prudence, is a virtue of the mind. It moves us to choose good objects to be accomplished and to choose good means for their accomplishment. Justice is a virtue of action. It compels us to act in accordance with the dictates of prudence. Temperance is a virtue of restraint. It preserves us from excessive action in any particular direction. It keeps us from eating too much, drinking to much, sleeping too much, working too hard, or becoming too excited and angry. It is the virtue of temperance which enable us to maintain a healthy balance in our lives. Finally, fortitude is a virtue of moral strength. It comes into play when special obstacles to the living of a good life arise. In the face of temptation, fortitude comes to the rescue. It strengthens us to overcome the forces of evil which stand in the way of leading a good life. 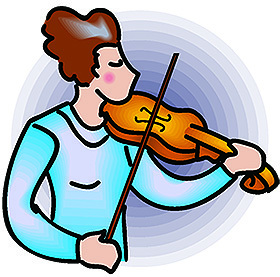 An infinite variety of melodies can be played on a violin. All four strings, however, are necessary. In like manner, all four of the above virtues are necessary for the living of a good life. A person who lacks even one of them resembles a violin with a broken string.